Is Wall Street Eyeing America’s Farmland? A new report says that Wall St. investors could take a chomp out of American farmland. But should farmers (and eaters) be worried? “If they succeed in consolidating control over our land and infrastructure, this new class of land barons could imperil our nation’s food supply,” says Lukas Ross, an Oakland Institute Fellow and author of the report, in a press release. According to the report, Wall Street’s pursuit of American farmland could drive up land prices, encourage further corporate consolidation, threaten rural economies and jeopardize the sustainable health of the land. The tone of the rest of the report is no less alarming, tying the prospective buyout to international land grabs that has left a huge amount of farmland in the developing world — an area eight times the size of Great Britain — in the hands of private investors. The Oakland Institute admits that much of their concern is speculative, but so is Wall Street’s possible interest in farming. At the moment, institutional investors only own one percent of American farmland and the biggest buyers of farmland remains, well, farmers. But a number of global and national market trends could converge to shift control of the nation’s family farms to opaque portfolios of organized money. 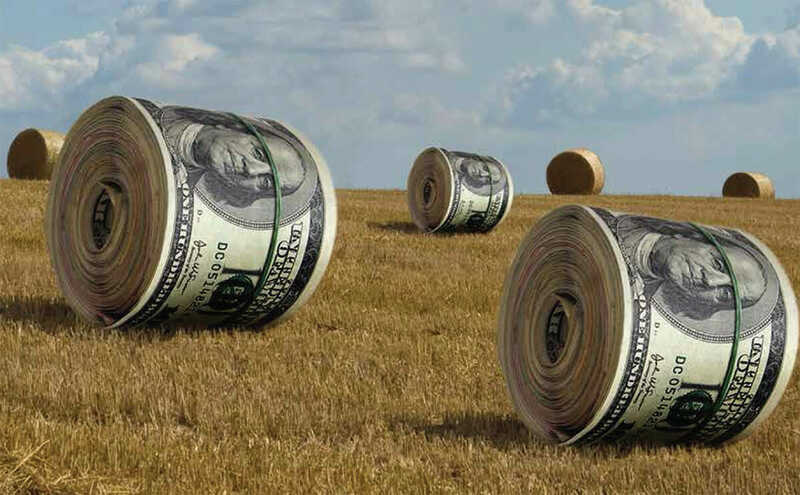 Among those trends, the report cites investors seeing farmland as a relatively safe stash of capital, especially in the turbulence following the 2008 financial crash. The shrinking amount of arable land due to soil depletion and desertification also means that farmland isn’t going to get any less valuable any time soon (cue a Monty Burns “excellent” from your imaginary investors). One unnamed industry leader in the report estimates that $10 billion in institutional capital is looking for access to US farmland. 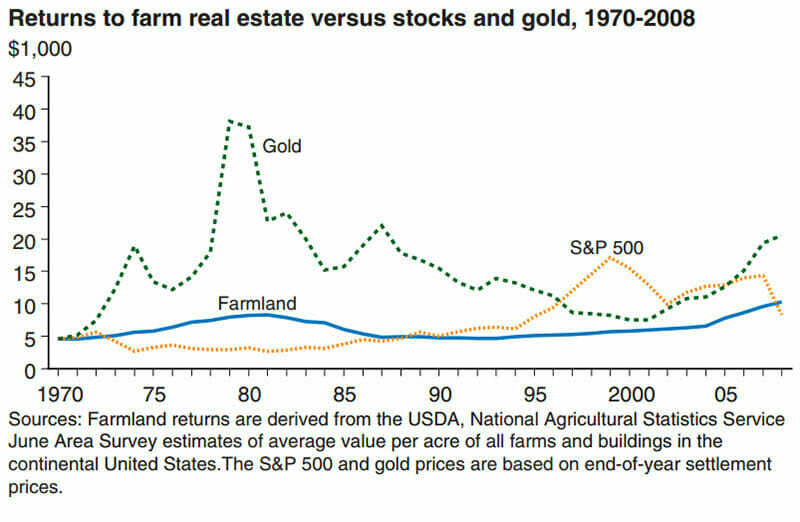 The relative stability of farmland could be a driving factor for potential investors. Graph by the USDA ERS. Not everyone agrees with such dire forecasts for the nation’s agricultural workforce. Carl Zulauf, a professor at Ohio State University’s College of Food, Agriculture and Environmental Sciences, has claimed that farmers are indeed getting older, but their aging mirrors the rest of the workforce. The age of US farmers has more to do with the capital-intensive nature of the industry than a lack of interest from young people. Graph by the Oakland Institute. Still, the demographics is where The Oakland Institute sees the greatest opportunity for a reponse. And while opening the door to younger farmers is a righteous call to action, Sumner maintains that the nightmare scenario the Oakland Institute presents wouldn’t necessarily be the end of American food as we know it. Some state laws in the midwest make it difficult for farmland to fall into the hands of domestic and foreign investors (though buyers have found ways around them).